Found this recipe for Garden Tomato & Fresh Peach Salad in a recent issue of Martha Stewart magazine. It called for heirloom tomatoes, which were not available in my garden on Thursday. Or on any other day, for that matter. I used my little, ordinary, garden tomatoes (go ahead, feel sorry for me) and guess what? Yum. The recipe also called for white peaches. Uh. Not happening. The closest I came was a donut peach. Yummy, but not a white peach. I’m sharing this because at times, we (I) get hung up on having exact ingredients called for in a recipe. Running all over creation for some crazy ingredient. Been there. This segment is called : Si’s Mini lesson on getting a grip… In this case, fresh is fresh. Sure an Heirloom tomato is wonderful. A white peach, unusual. The sub of a garden fresh tomato and a delicious ripe local peach were perfect in this salad. Which, btw, if you love tomatoes and peaches- this salad is your new bff. I modified the recipe a bit- added my new bff White Balsamic (*see note in tips section below) and wow. I think we are having this for dinner a few more times this week. Even Jake (14) asked for seconds. He tried the salad with and without the olive oil and balsamic. He LOVED the balsamic version. I picked up this cookbook last month, and fell in love with the beautiful photos. I love Williams Sonoma cookbooks. I’m not a big -“I need pictures in my cookbook” type of girl, but I do love WS cookbooks. This book is filled with recipes from Meyer Lemon Jelly to Proscuitto Panini with Fontina & Fig preserves. 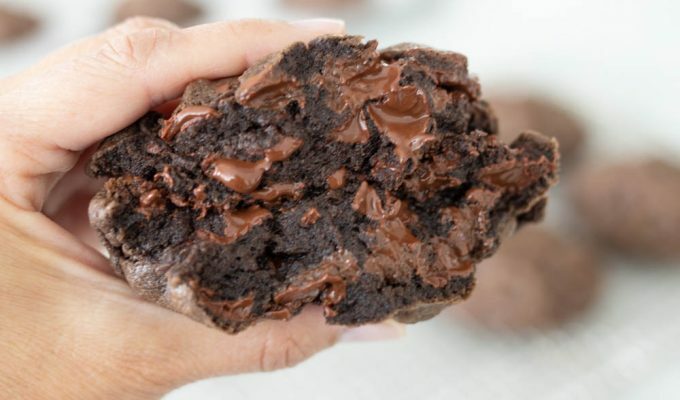 Mouth watering type of pics and recipes. As an added bonus, the nice people at CSN Online Stores asked if I would be interested in sharing a giveaway with ABK readers. They offered a gift certificate in the amount of $55. Good at any of their online stores. Tuesday, September 14, 2010. Midnight. Arrange peach and tomato slices on platter or individual salad plates. Lay red onion slices, torn fresh basil and crumbled ricotta over top of fruit. Season with salt and pepper and drizzle white balsamic and olive oil. Garnish with basil sprigs. Serve immediately. -White Balsamic. I have received several emails about this product. Found in Italian specialty stores, in SLC, downtown at Tony Caputos. No more expensive than Red Balsamic. Some argue that white balsamic is not really a balsamic, whatev. You can also purchase online, one of my fave brands of olive oils and vinegars: "O Olive Oil" brand. I've tried several of their vinegars and olive oils. Great products. They may be purchased online here. Or at kitchen specialty stores (Sur La Table), or occasionally at my fave, TJMaxx. Your salad is so inviting! 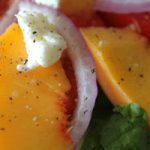 I have some peaches just about ready on my counter and they will be so happy to be part of your recipe 🙂 The best thing I tasted this summer was an heirloom tomato, a black cheery tomato. It was out of this world wonderful! Love the pics…my mouth is watering. The best thing I ate this summer is a peach right off of my MIL's tree. So wonderful. It makes me want to put it in a salad with my next favorite fruit…Tomatoes!! Wow the best thing I ate this summer?! That's a toughy…..I'd have to say my best meal was a greek salad that I ate from a small whole in the wall restaurant in Willaimsburg Brooklyn. The place didn't even have a name on the front but I ate there anyway. The salad was huge and just a perfect balance of oil and feta and veggies! It was absolutely delicious, satisfying and crisp! The best thing I ate this summer was apricots fresh from my backyard tree! Your salad looks fresh and delicious! Oooh, I have a thing for preserving stuff. But the best thing I ate. Hmmm….this is a toughie. I would have to say the Tomato Basil mozzerella (sp?) sandwich on sour dough bread I made on my new panini maker…and they were my first home grown tomatoes ever. Paninis are so much more fun than regular sandwiches. The best thing I ate this summer was a pizza margherita from a little pizza cart in the ace hardware parking lot. Seriously delicious. I was closing my eyes and making noise with every bite. Kinda embarrassing. I'd love to win this book. I can always use ideas on ways to preserve my garden bounty. I have heirloom tomatoes coming out my ears, my counters, and my garden. I'd give you some if I could. They are wonderful. This salad looks divine; all I need are some ripe peaches. hi, where can i buy white balsamic? i looked at sunflower market by fashion pl mall and they didn't have any. I have fresh peaches and fresh tomatoes so this recipe is definitely on the menu this week. The best thing I ate this summer was a fresh nectarine and blueberry cobbler (warm) with vanilla bean ice cream. YUM!!! My mouth waters just thinking about it. I always love trying new recipes, so when I tried my neighbors pan roasted corn and tomato feta salad (a WS recipe!) I knew I had to make it myself. This salad, as well as a cilantro, lime cabbage salad would be a tie on the best food I ate this summer. The best thing I ate this summer was our delicious homemade frozen key lime pie. It was so yummy we had to run to the store for more limes so we could make a second one a few days later! it's pretty tough to decide on the best thing i ate this summer, since there were a lot of highlights. but most recently, the best thing i had to eat was a lovely spiedini comprised of chicken, prosciutto and rosemary, with an heirloom tomato and goat cheese mozzarella caprese salad. and blanched fresh peaches and honey yogurt for dessert. The best thing I ate this summer by far is fresh Utah corn on the cob….nothing like it. Oh how I wish summer would not end! Clam chowder on the Oregon coast. Yum! Spaghetti Margherita with goat cheese and basil from the Farmer's Market and a mix of cherry tomatoes and heirloom tomatoes from the garden. The ultimate comfort food, we had it last night. My husband made it for me years ago on my return from a month's job 8,000 miles away. We share prep for this dish-he usually chops the tomatoes and grates the Parmegianno -Reggiano, while I cook the pasta and assemble the sauce. A fresh Raspberry Shake in Bear Lake with no syrup added, just creamy hard ice cream with double raspberries for a whopping extra 30 cents. So yummy! Ohhhh yummy salad, could be my new bff salad! The best thing I ate this summer…..hmmmmmmm…..it would have to be the basil salad the first time I ate it, and of course you had made it! The best thing I ate this summer was a spinach salad that my husband and I made over and over again. Spinach, feta cheese, blueberries, onions, sunflower seeds and italian dressing. yum. The best thing I ate this summer was some peach, mango jalepeno Jelly. I had it over chicken, I put it on ribs. I dipped crackers in it, and I might have had a spoonful or two just by itself…and I even made it myself! Darling Corrine told me about your blog. I have to say that I'm not a great cook but every recipe that I have pulled from your blog has been a hit with everyone! The tastiest thing I ate this summer was my very first home grown tomato. So delicious and rewarding! Best thing I ate this summer? Probably the gorgeous sauteed yellow squash harvested from the garden moments before it was washed, sliced, and cooked. The best thing I ate this summer was an Australian navel orange. It was the juiciest orange that ever touched my lips. The sweetness lingered. This book, "The Art of Preserving," sounds like a must have! Fresh green beans from my garden. Yum! This is like a Greek Salad but with peaches…WOW..I'm in love too!